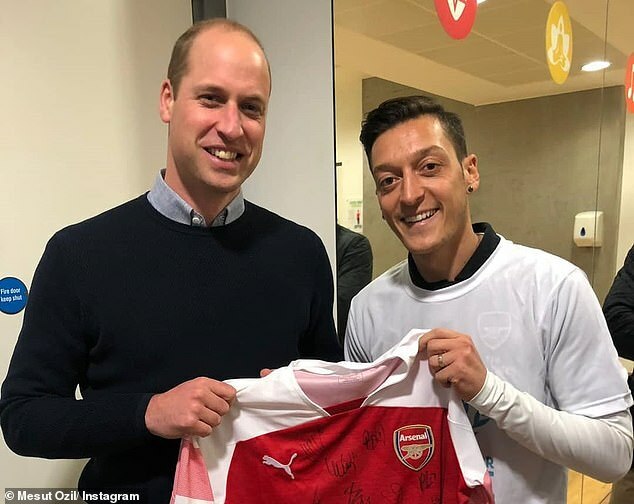 Mesut Ozil was ‘honoured’ after getting the chance to meet Prince William and hand him a signed Arsenal shirt at a ‘Football for Peace’ charity event on Thursday. The pair were both present to show their support as the charity launched its #FootballSavesLives campaign at the Copper Box Arena in London. Ozil took to Instagram to share his excitement after rubbing shoulders royalty, posting a photo of himself and The Duke of Cambridge holding up the signed Gunners shirt. ‘Thank you for your time, HRH Prince William – Duke of Cambridge,’ the playmaker wrote alongside the image. The project is aimed at training the next generation of young leaders in how to harness a shared passion for football to bring together their local communities. 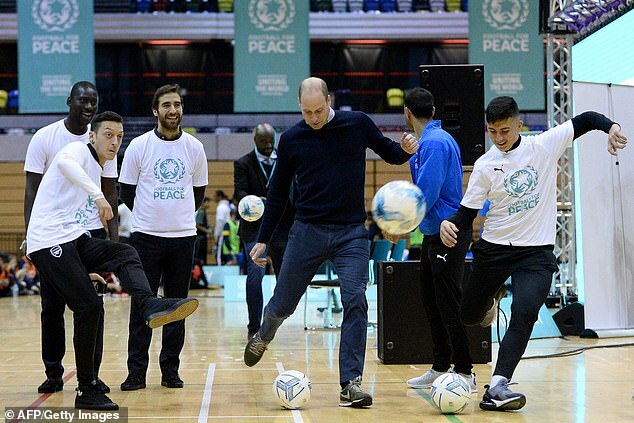 William looked to be fully immersing himself in the occasion as he was seen taking part in some ball drills after changing into a pair of Nike trainers. Former Arsenal star Mathieu Flamini also took part. 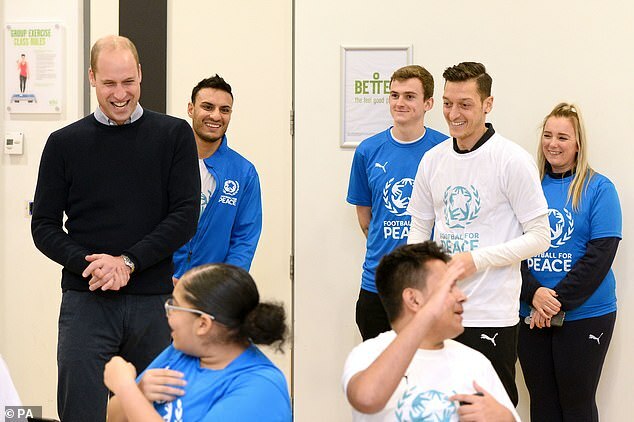 Speaking at the event, which also saw 30 Young Peace Leaders graduate from the UK’s City for Peace programme, his Royal Highness said: ‘Football is part of the fabric of this nation’. It is unlikely the signed Arenal shirt will be taking pride of place at Kensington Palace, however, with William being a lifelong supporter of Aston Villa.